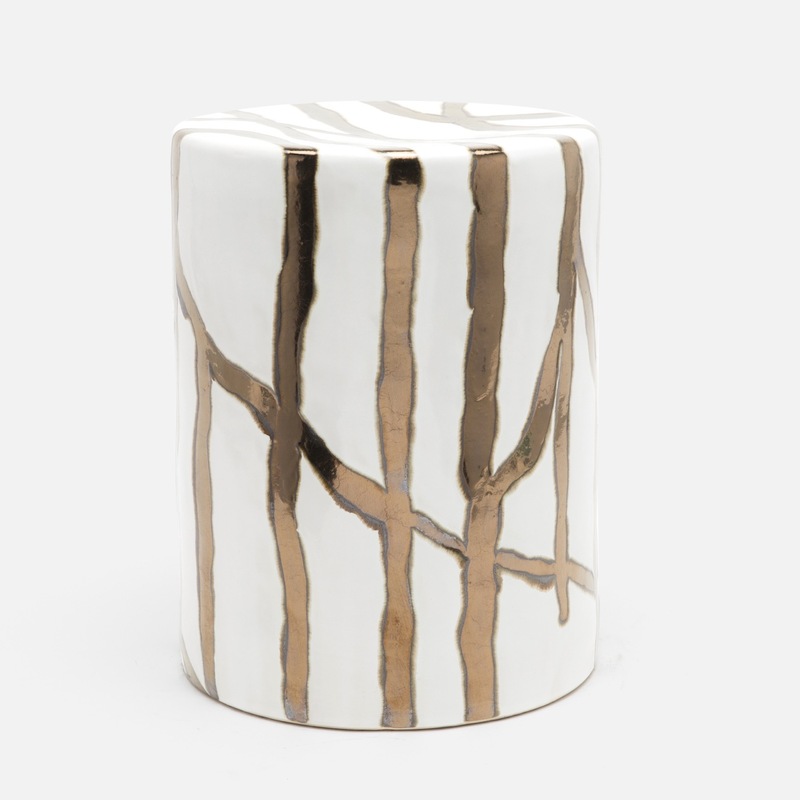 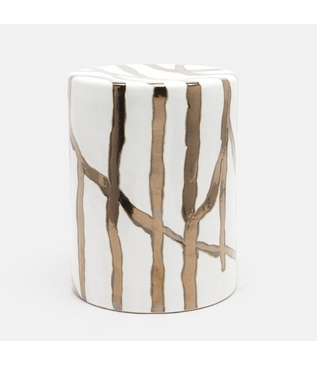 Branch-like, downward brush strokes are hand-painted on this charming ceramic stool in rich gold. 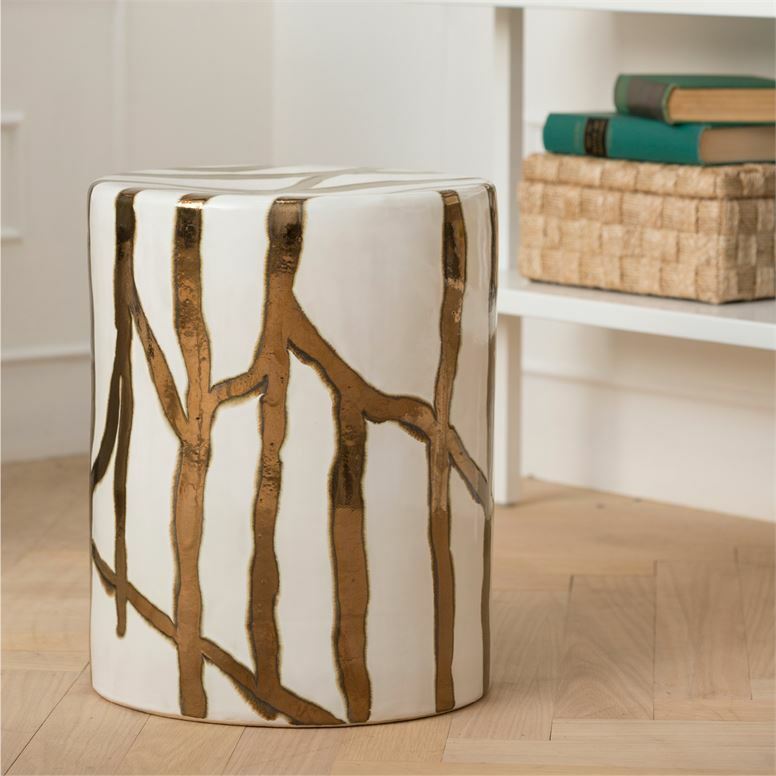 Ideal for impromptu seating or as an accent table. 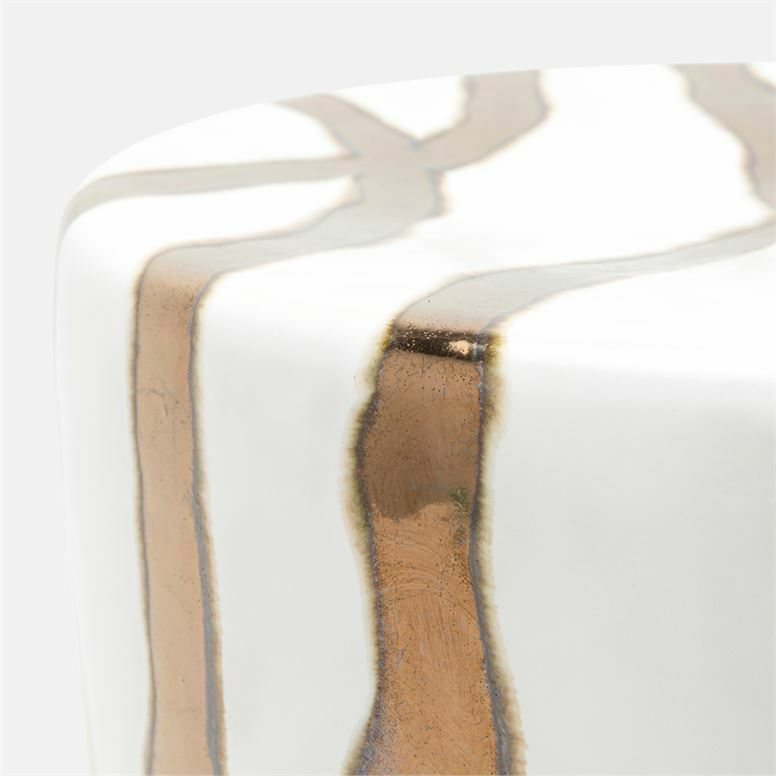 Size: H: 18" • Dia: 14"